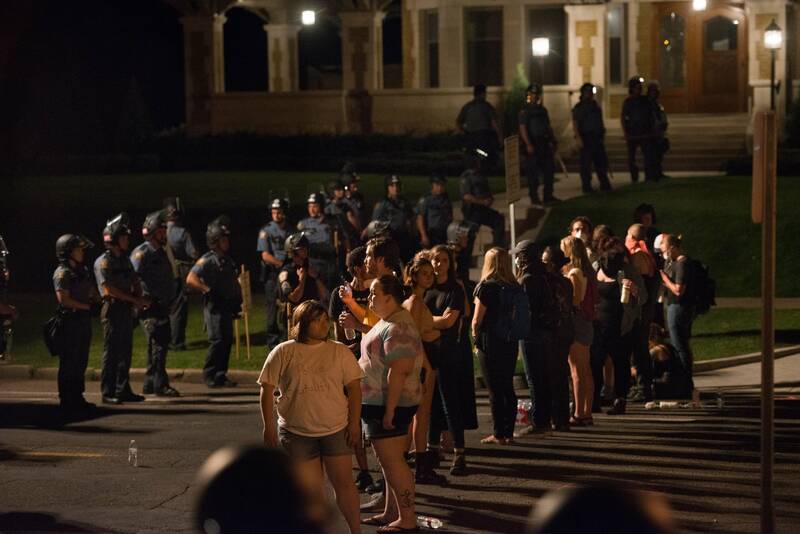 Updated 8:35 a.m. | Posted 6:07 a.m.
At least 69 people have been arrested outside the governor's residence since Tuesday as part of an effort to reopen a section of Summit Avenue in St. Paul. 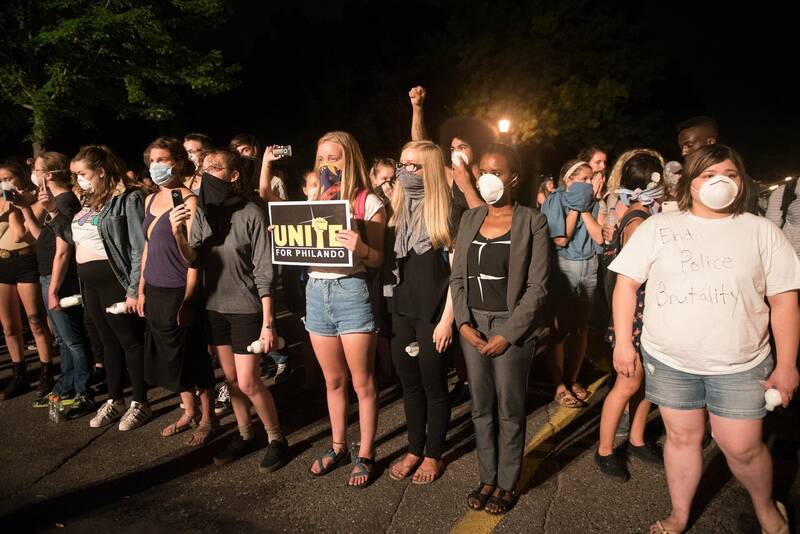 The move seemed to backfire, as what had been a relatively small demonstration grew to more than a hundred people who engaged in a late-night standoff with police. Summit Avenue remains blocked from Lexington Avenue to Milton Street. 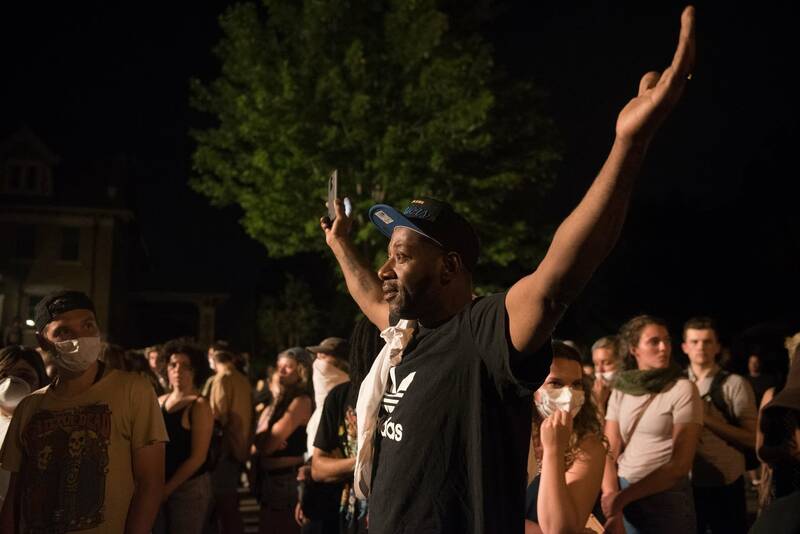 By 8 a.m. Wednesday, however, no protesters were present outside the governor's mansion for the first time since the July 6 police shooting of Philando Castile. 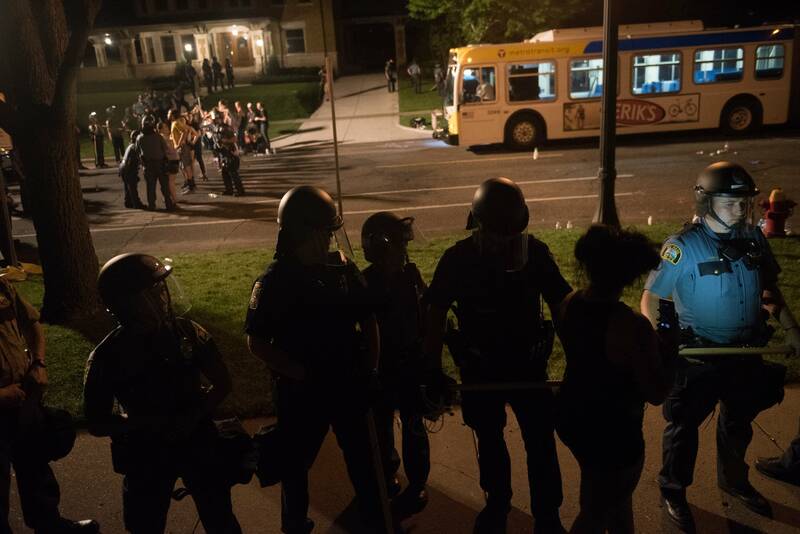 Police arrested 23 protesters early Wednesday for public nuisance and unlawful assembly; on Tuesday night, the St. Paul Police Department reported at least 46 arrests. Over the course of several hours, police gave several orders to disperse. 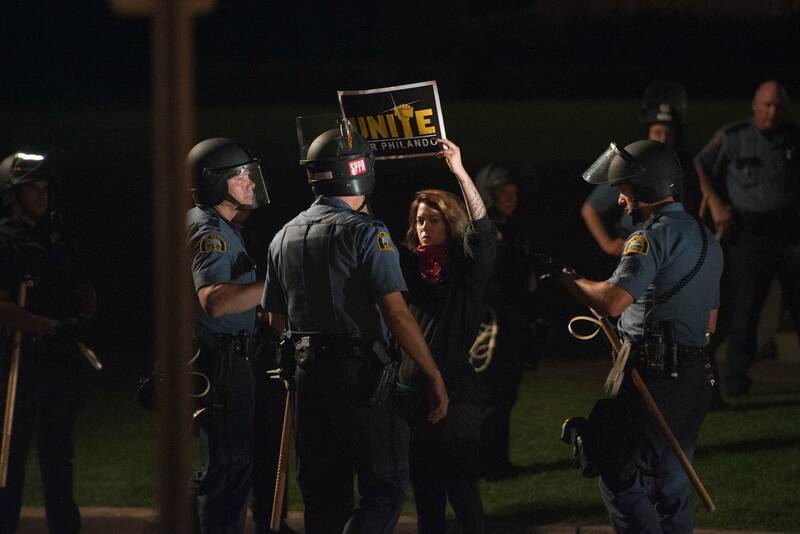 At 2:30 a.m. Wednesday several dozen protesters remained and police began making arrests. 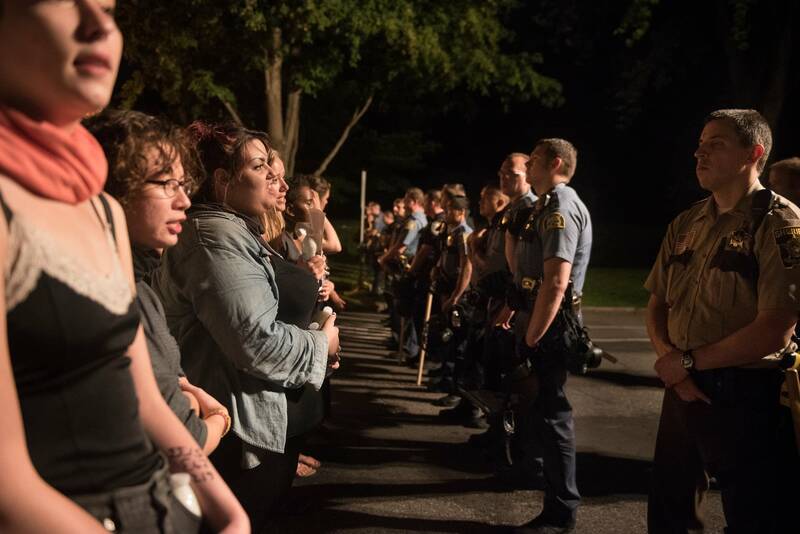 For the last three weeks, demonstrators have been camping outside the governor's mansion to protest the police shooting of Castile, who was killed by a St. Anthony police officer during a traffic stop in Falcon Heights.